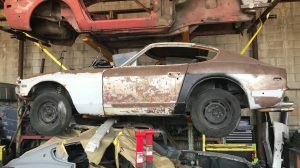 This 1968 AMC Javelin SST is listed by a seller who claims he drug it out a New Mexico junkyard, which is probably the smartest state to pull a car from years of wrecking yard captivity from (unlike those of us who bring home rusty Mercedes from junkyards in Pennsylvania). 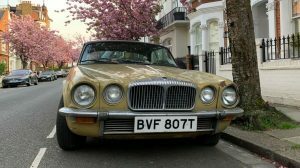 The Javelin comes with a 290 V8 paired to an automatic transmission, and the seller claims the engine is healthy enough that it doesn’t smoke. 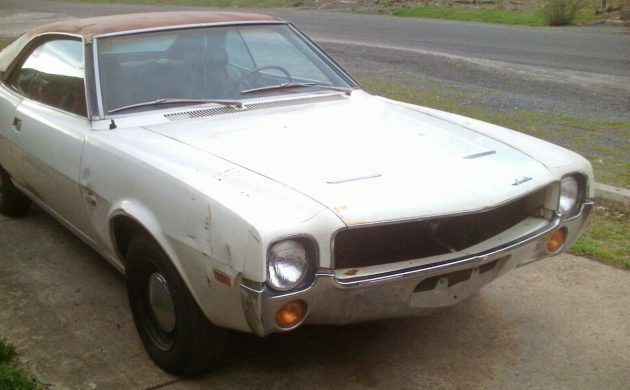 Find the Javelin here on eBay where bidding is at $2K with five days left. 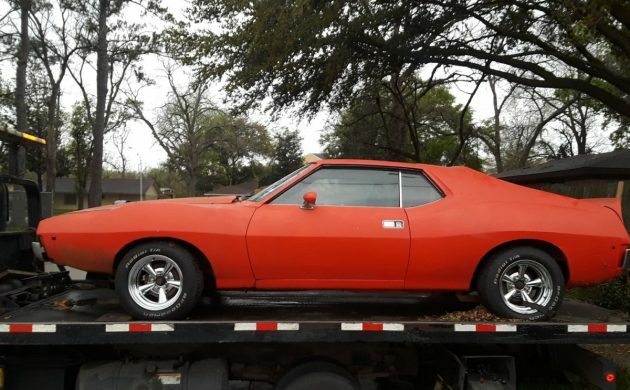 I know I’m going to open myself up to rancorous commentary from my many fans, but I see this as at least some validation that there’s market for the recent Barn Finds Exclusive listing of a 1969 AMC Javelin SST car from the large Georgia collection I’m helping to clear out. 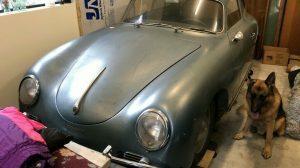 Yes, this is a running, driving car, but it’s still going to need a repaint to be perfect and you could debate whether the 290 or 343 is the preferred motor – especially if you’re going to build one up. I’ve read some accounts that say the 343 can become quite a screamer with some work, and have more on-demand torque than the 290. 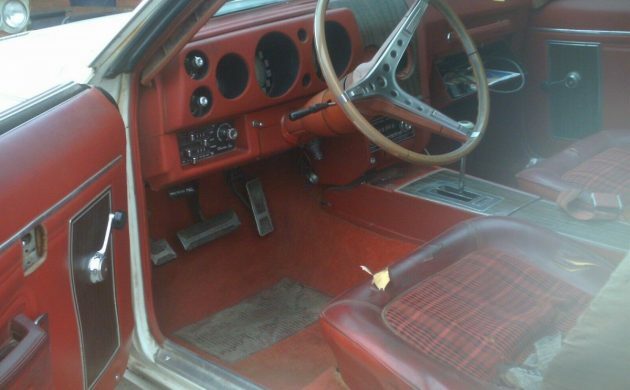 The interior isn’t without its needs, and needs similar levels of reconditioning to be perfect. As some commenters previously pointed out, trim like the grill is obsolete if you try to replace a broken one, which this car also has. 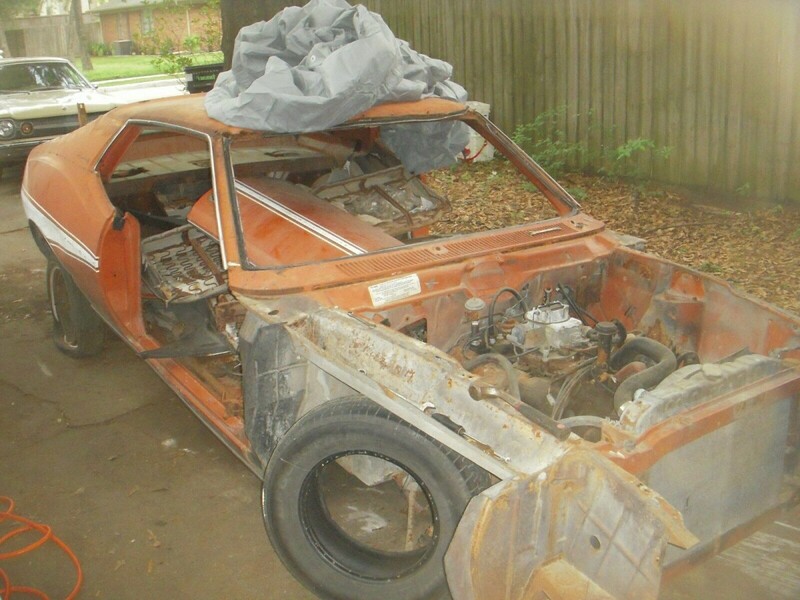 My point is, despite these ailments and the Javelin on display here also coming from a salvage yard environment, bidders aren’t holding back at $1K or less, as some felt our car in Georgia should be listed at. 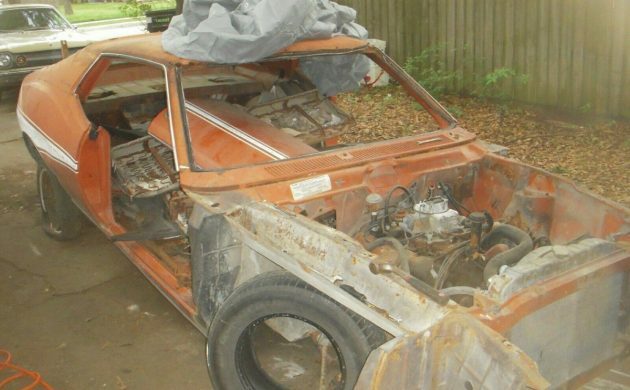 I’m not at all suggesting our asking price is what it will sell for, but we plan to sell everything for a fair offer under asking – so feel free to contact me if a Javelin is on your project car list. With five days left in the auction, it will be interesting (to me, anyway) to see what this one sells for. 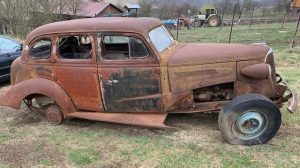 To the seller’s credit, he has done some work like replacing the automatic transmission. The Javelin is equipped with A/C, tilt wheel, power steering, and power brakes, but the A/C and power steering do not work. The ignition switch was removed and is hanging below the dash, which is fairly customary in junkyards. Kudos to the seller for saving this one from death by shredder. 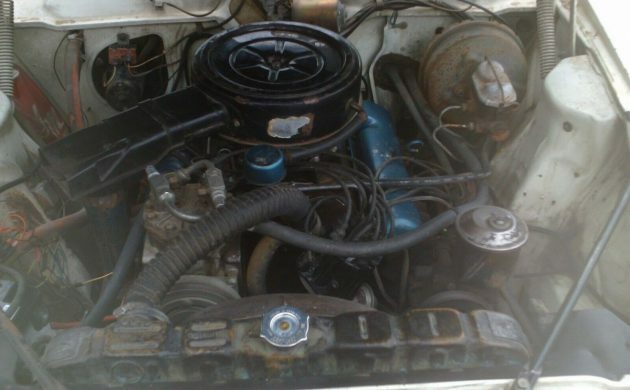 Looks like a good honest restorable Javelin, these are light enough that any AMC V8 is enough power. 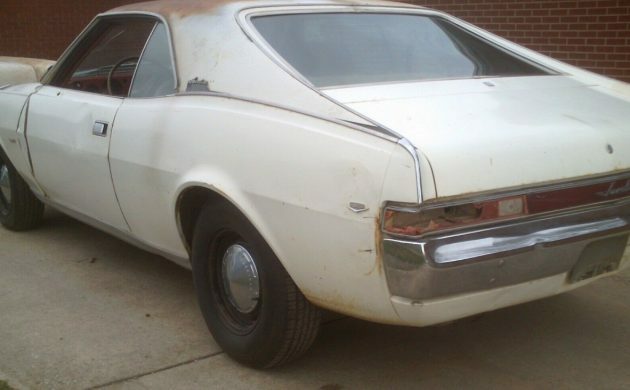 I like how solid it looks unlike this 1971 that I saved from a…yes Pennsylvania junk yard. Man, that’s an extremely honest and heartfelt headers to sidepipes setup. 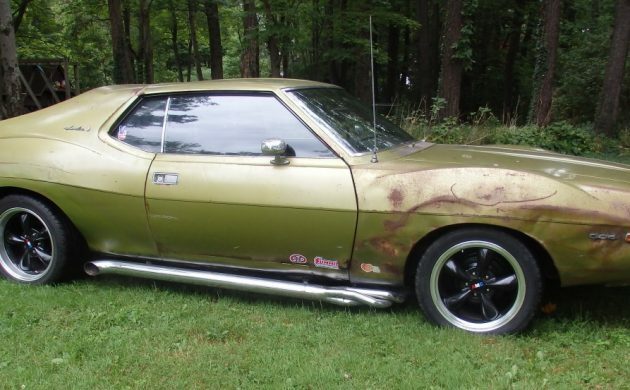 I’ve unironically rodded worse Chrysler e bodies than your javelin. Congrats on the cool ride! Great style as well. That’s a nice solid honest car there. Love the dog dishes. 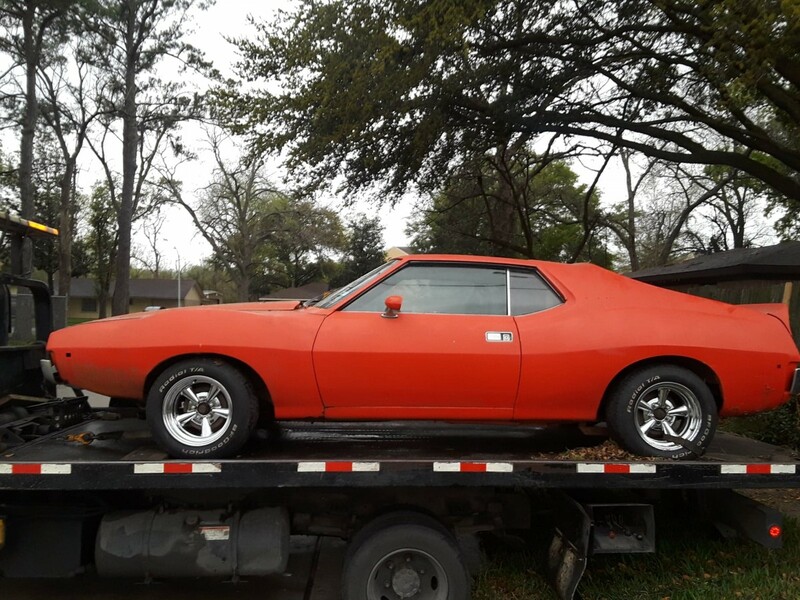 April 2019: I just bought this “junkyard save” it is the 395th AMC AMX, Javelin or AMC I have personally owned since 1976…hate to see stuff wasted you know, tons of good salvageable parts, will be probably gone by end of April 2019, look thru my ebay stuff on front of http://www.planethoustonamx.com as I shove lots of parts off it on there. And a lot of parts will interchange with 68-73 AMX & Javelin Series also.